Students in first-year writing courses at Georgia Tech are sometimes asked to build things. 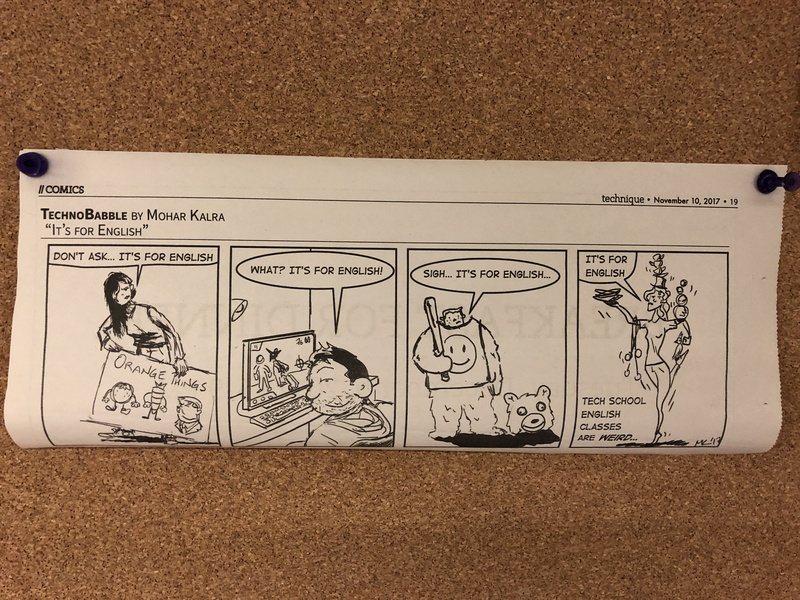 Based on the comic strip that currently hangs in the WCP interns’ office, those students react to these assignments with a mixture of bemusement, annoyance, and–eventually–acceptance. But in this episode of The Office Hour, we hear from three Brittain Fellows whose students produce incredible stuff in response to a range of prompts. Courtney Hoffman’s students built material objects for and about the Harry Potter universe; Rebekah Fitzsimmons’s students compose and construct picture books for children; and Kathleen Schaag’s students respond to her class on plastic with a wide range of physical objects. Listen for more about these exciting projects (and stay for the glorious return of the pod’s original theme music)!